Long strenuous climb on a double track dirt road to High Meadows. 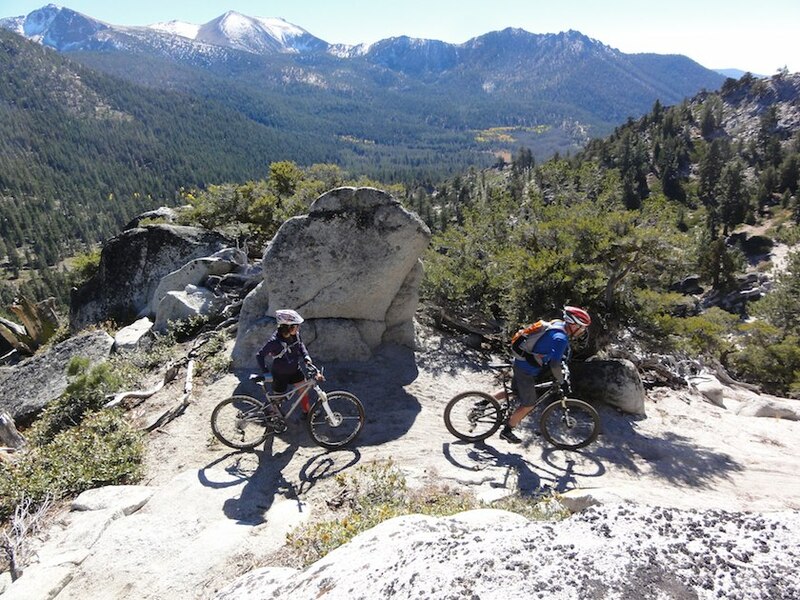 Cold Creek downhill has some technical rock step sections and one is a hike-a-bike drop off for most of us. Westbound on Pioneer TR and turn left on High Meadows Rd. at the corner with Sierra House Elementary School. Continue to the end of the road with Forest Service gate. Park and begin your climb up the road. Ride Option: Powerline Loop trail can also connect you to the High Meadows Rd. 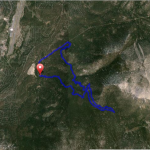 A long strenuous climb up a fire road that may be rutted. Take plenty of water, snacks and start early to avoid the dry heat of the day. High Meadow is a classic High Alpine eco-system with a year-round stream surrounded by Tahoe’s highest peaks: Freel (10,881’), Jobs Sister (10,823’), Jobs (10,633’), and Heavenly’s Monument Peak at 10,064’. This is a great place to relax, have a picnic, and absorb a unique alpine experience. Your return is down Cold Creek Trail situated on North West corner of the meadow, where the stream exits the meadow to start its descent. Cross the stream and turn left down Cold Creek. 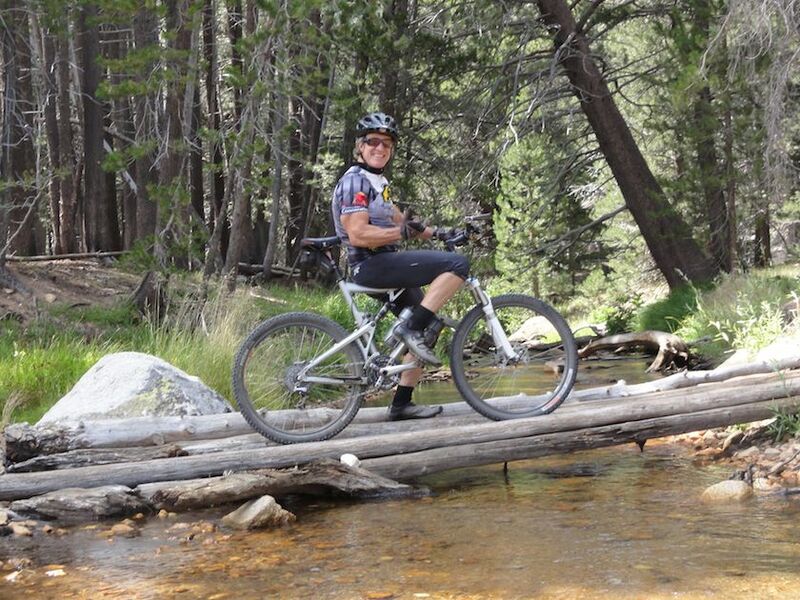 Ride Option: Once at High Meadows, Star Lake Loop is southwest of the meadow. There is fishing in Star Lake. Once a private cattle grazing meadow during the summer months. 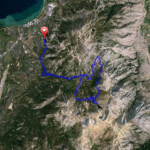 The cattle would be driven up from Carson Valley and hoof through the Stateline corridor, on Hwy 50, to head up to the lush meadow for the summer months and then driven back to Carson Valley for the winter. 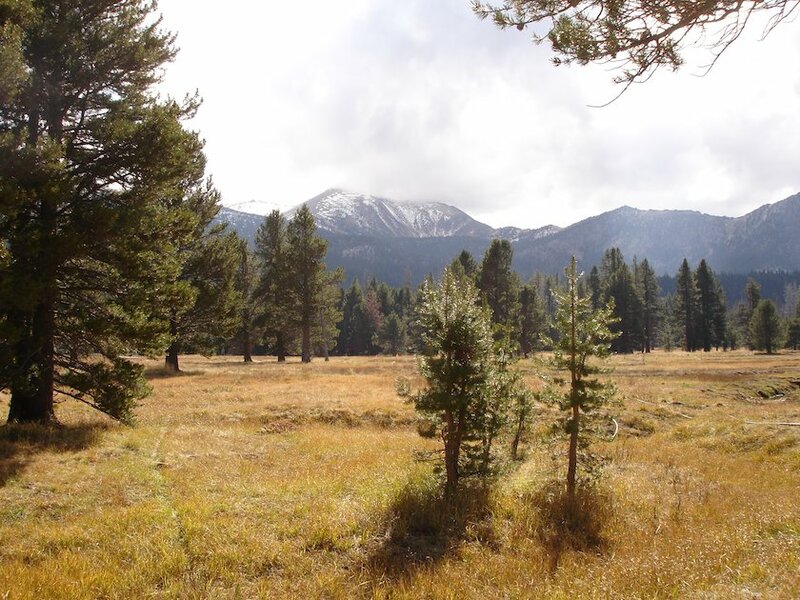 In recent years, the USFS purchased the land and has been working on routing the stream in an attempt to restore the natural filtration system of this meadow eco-system.